The Korea Grand Sale: Are foreigners really getting the hook up? 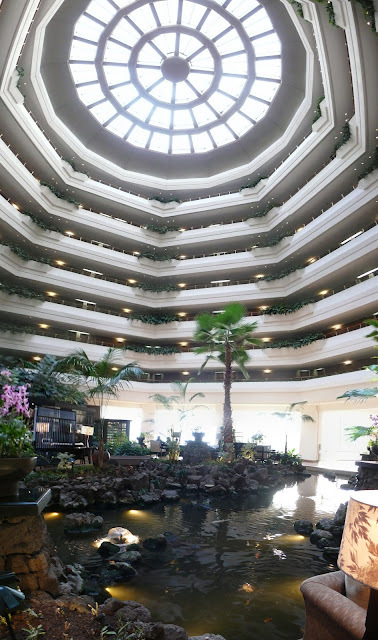 The Hyatt Regency Jeju is offering one free night after booking 3. Korea is always friendly to foreigners but this year there is an entire sale just for international visitors. The Korea Grand Sale has been running since January 9th and ends February 29th. By printing out one coupon foreigners in Korea can get access to discounted prices for retail, food and beverages, culture, and health and beauty. The Sale is part of 2010-2012 Visit Korea Year. Major stores in Seoul such as Lotte Department Store and Hyundai Department store are offering discounts between 10% and 40%. Sounds great right? I have to be a little suspicious about the discounts because there is a small note stating that certain brands are excluded. I can't imagine asking about every single item and if it is available for the discount or not. In Korea, I have learned to be wary of discounts and sales because the stores may simply charge more for the item and you don't really get the discount. This actually happened to me in a restaurant in Insadong. I had eaten there a couple of times with Korean friends and remembered the price of my meal at 8,000 won. However, when I went back with my American friends the price was 10,000 won because the prices on the English menu were higher. I know this is a rare occurrence in Korea, but like any country shop owners try to take advantage of foreigners. Although I am weary of the shopping discounts being offered by The Korea Grand Sale I am more supportive of the hotels and entertainment. The beautiful Courtyard by Marriott Seoul Times Square in Yeongdeungpo and the exquisite Ritz Carlton Seoul are offering 1 extra night free when booking over 3 nights. Major chain hotels in Korea are known for their lavish amenities and high prices. When deals like this come around foreigners should definitely take advantage. Take my survey The Korea Grand Sale Survey to share your experience with the sale.